This is a crucial new tune for fans of roots reggae, dancehall, and everything that comes out of the famed Version City Studio. 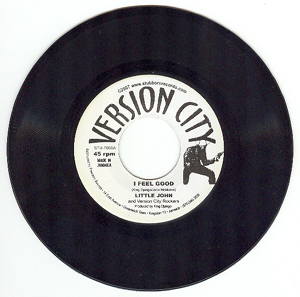 Little John has been one of the most popular dancehall singers since dancehall began. His voice is instantly recognizable, and he's been mashing up dances non-stop throughout his career. This tune is one of the best things he's recorded in the last 20 years, if not his entire career. It's laid back, yet has a driving Rasta beat and message. It's on the same riddim as Johnny Osbourne's hit, "Let There Be Love, and was recorded at Version City by King Django himself.